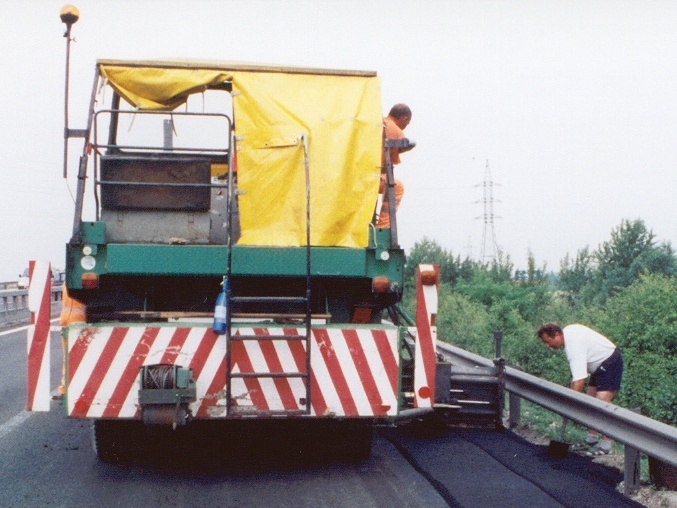 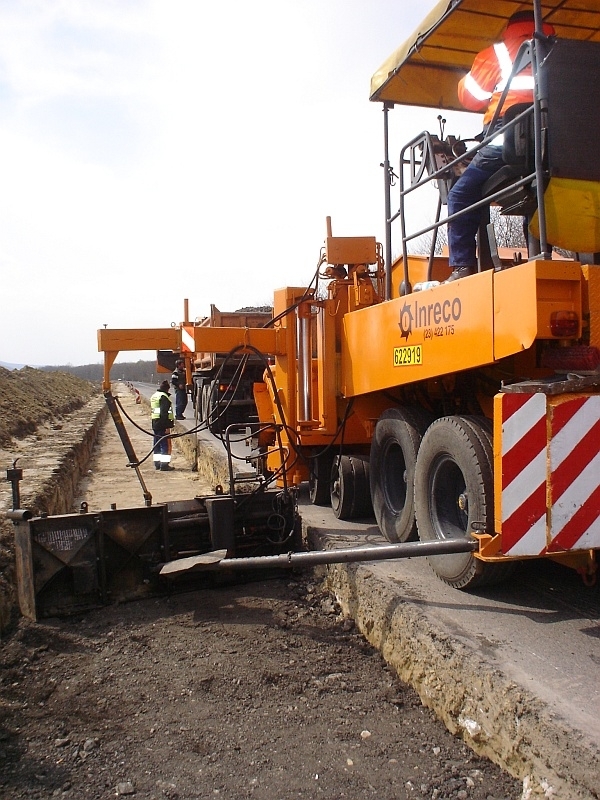 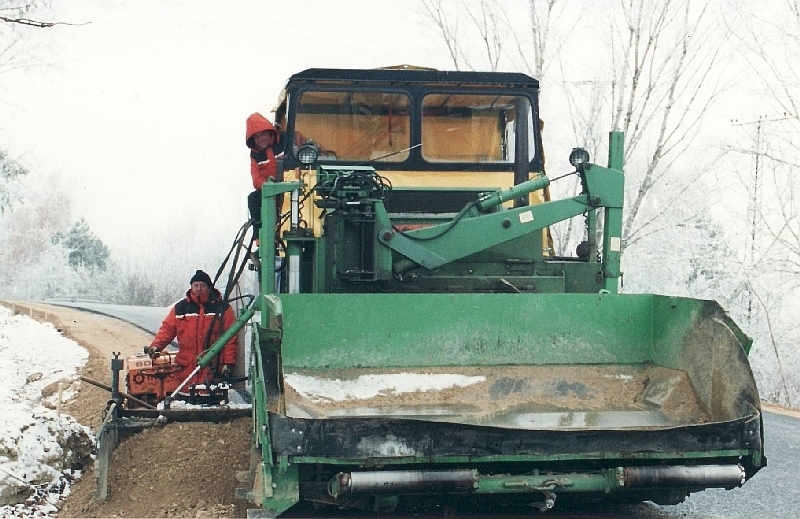 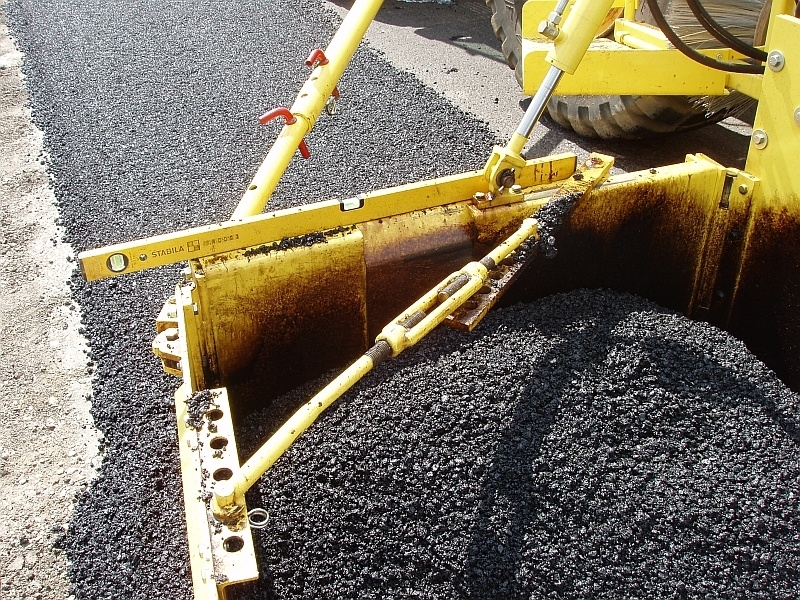 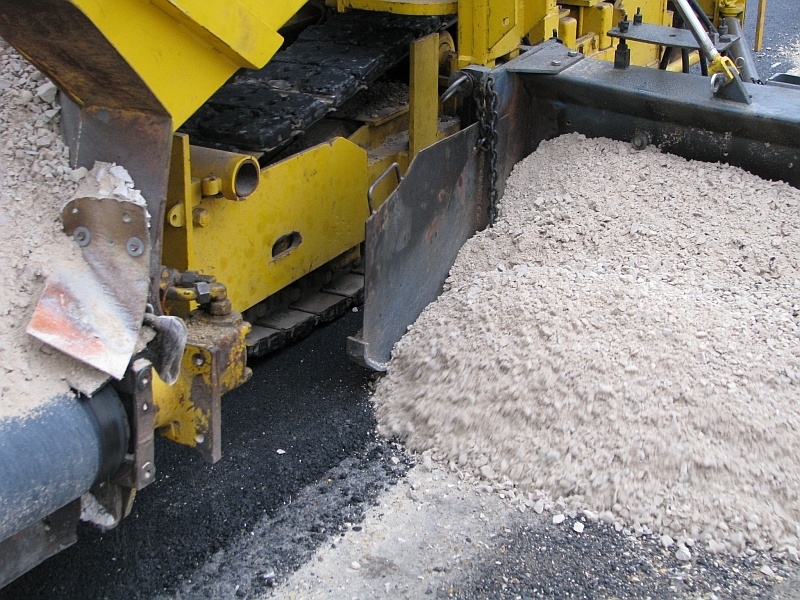 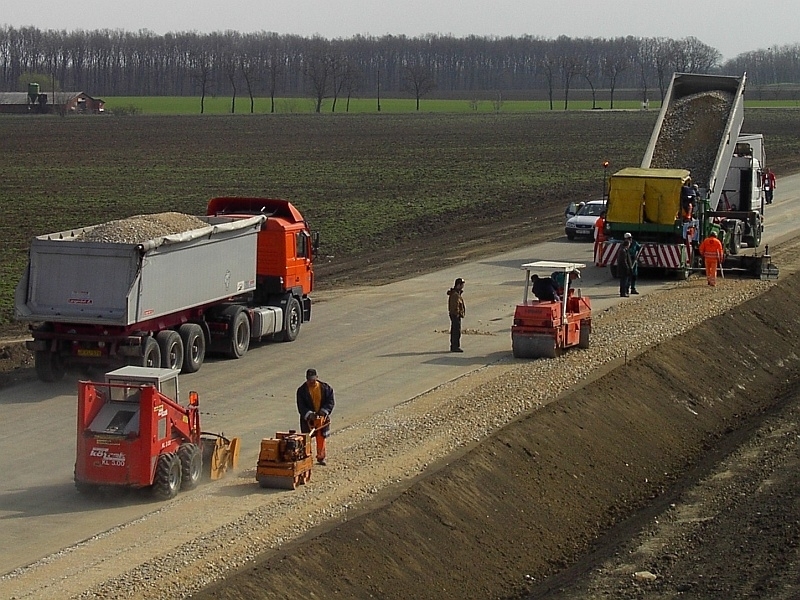 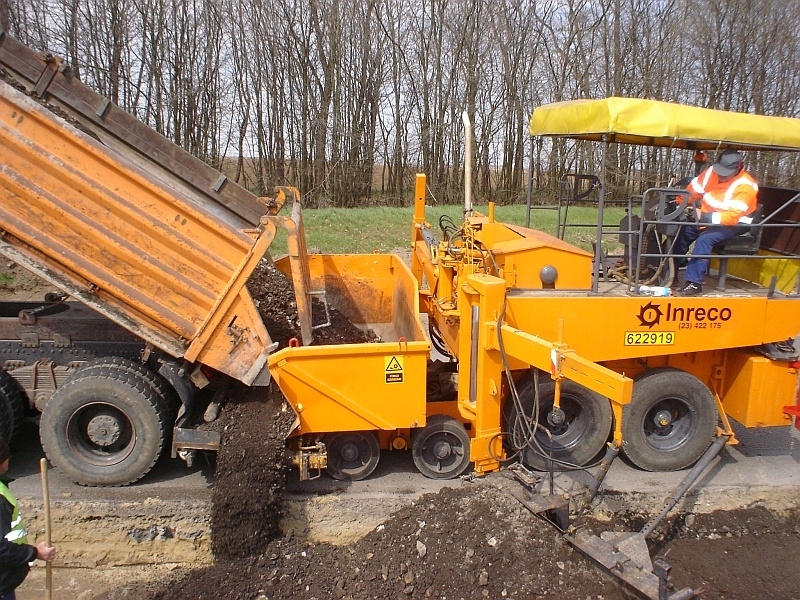 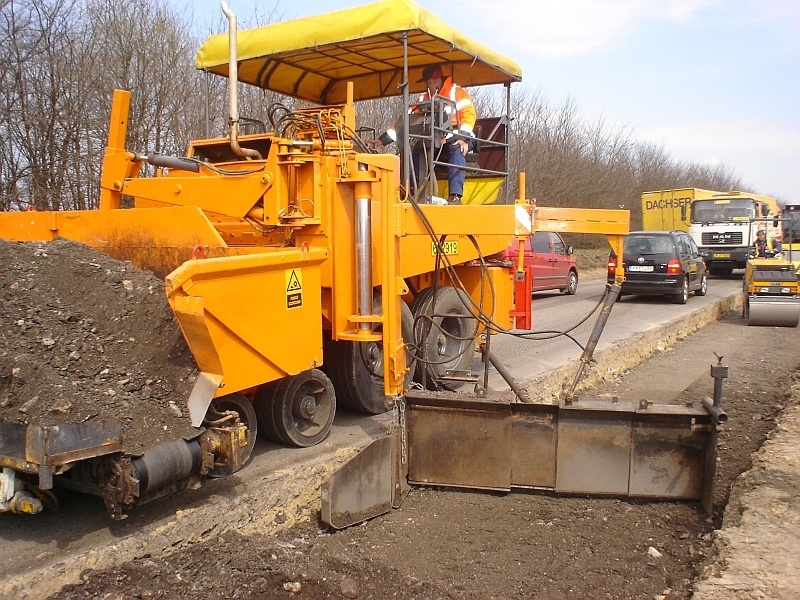 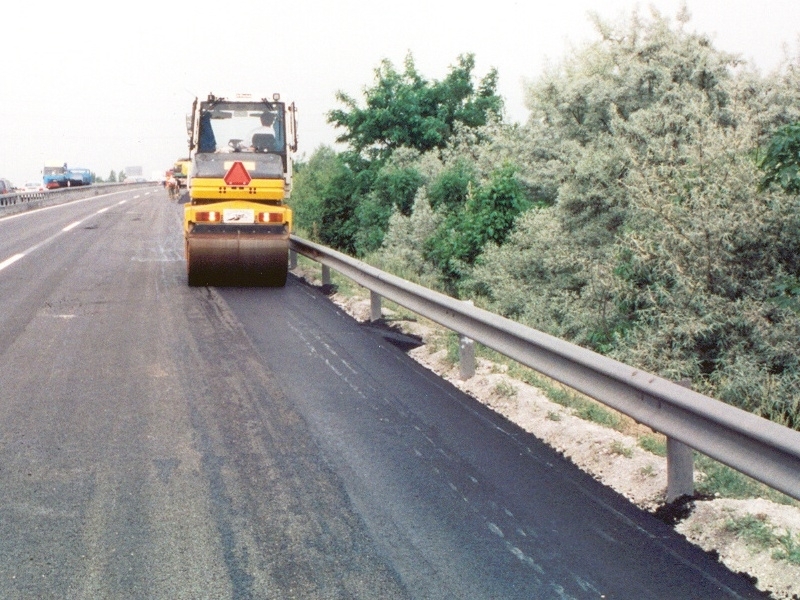 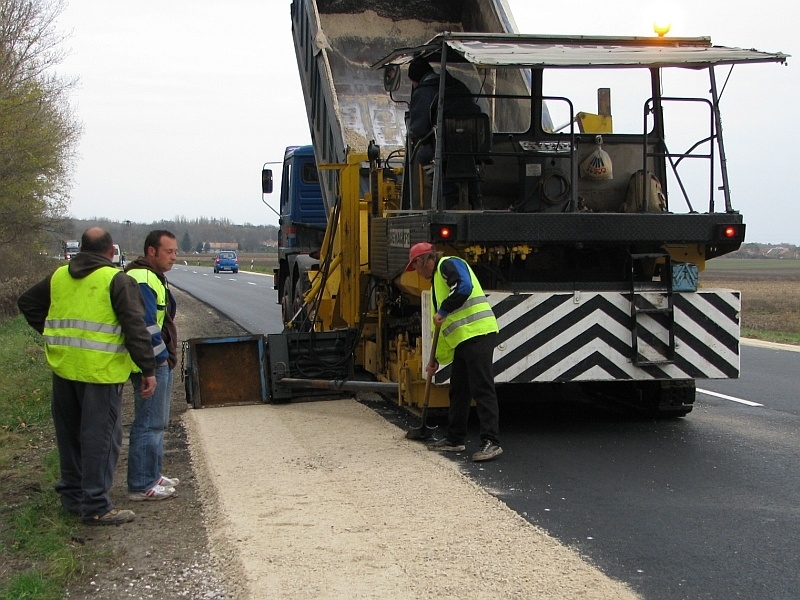 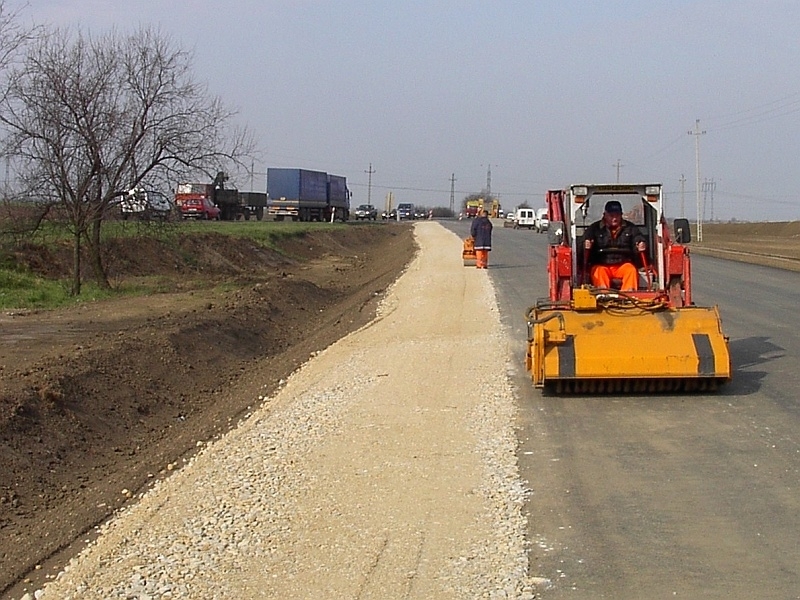 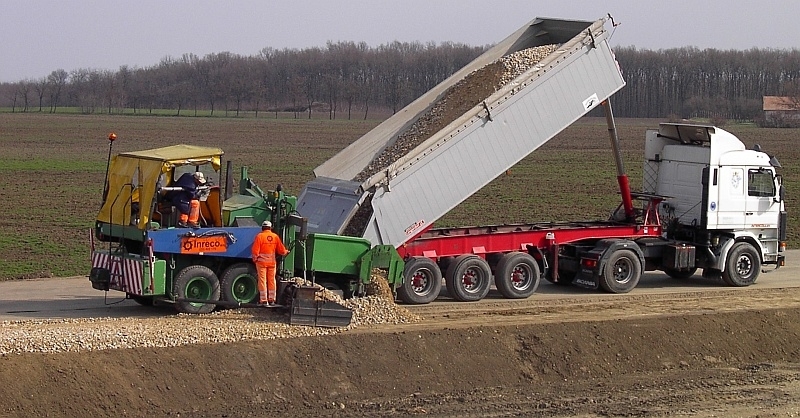 In shoulder paving operations the machine works four times the speed of traditional methods and daily output can reach 1500 m3. 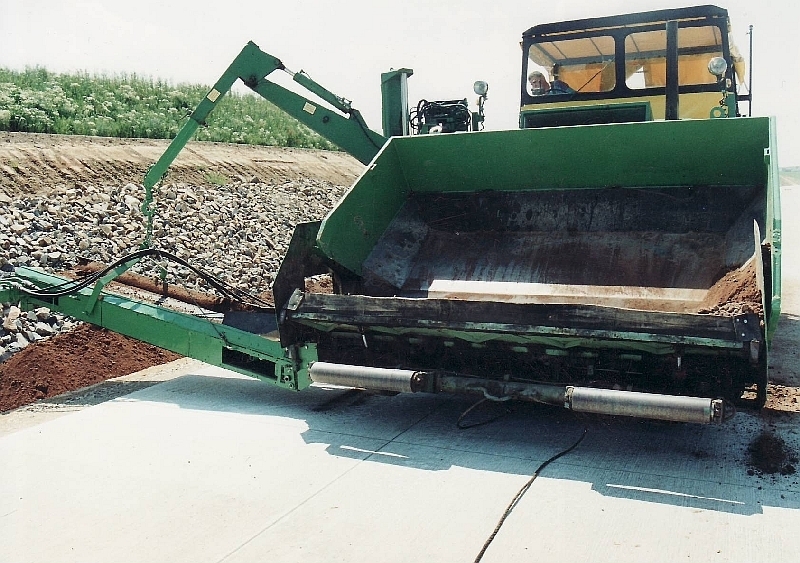 In addition, the sidewalls of the spreading box prevent material overflowing down the embankment as it usually happens when spreading with grader. 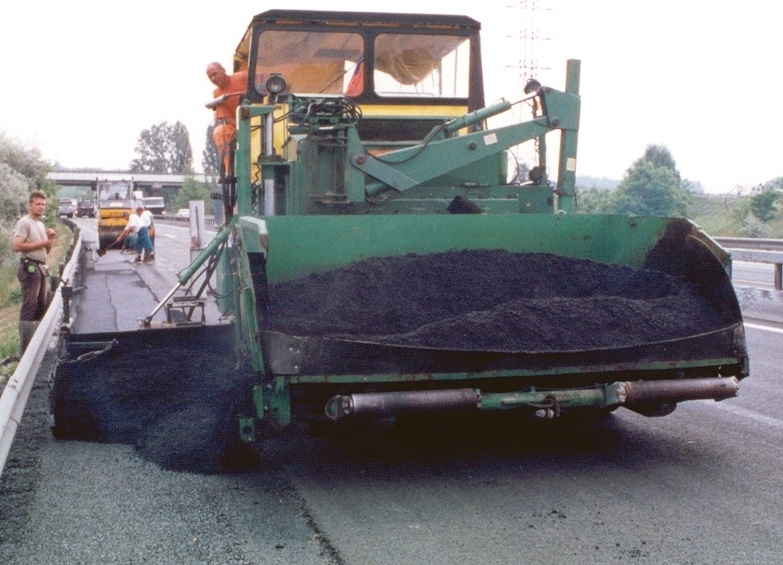 As a result significant reduction of wasted material can be realised. 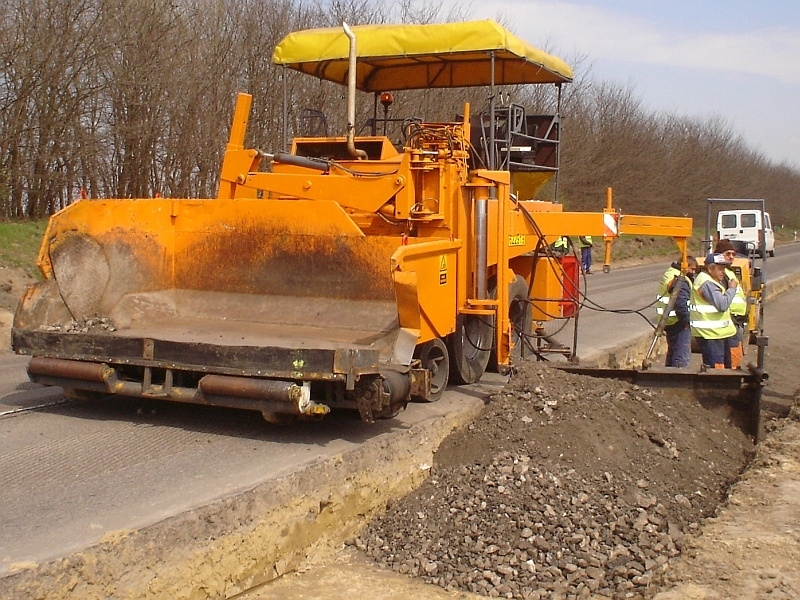 Road widener is capable working up to 3m. 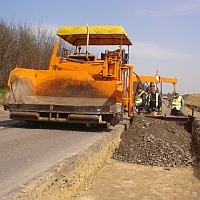 Travelling right on the edge of the road it lays material to the extension area with specified level and slope.